Happy May Day or Bealtaine. It was a blustery day, and as I took my walk along Galway Bay, at times the wind was so strong it felt as if I was on a treadmill – my feet were moving but I wasn’t getting much of anywhere. It wasn’t a bitter cold wind, so it was actually quite refreshing. 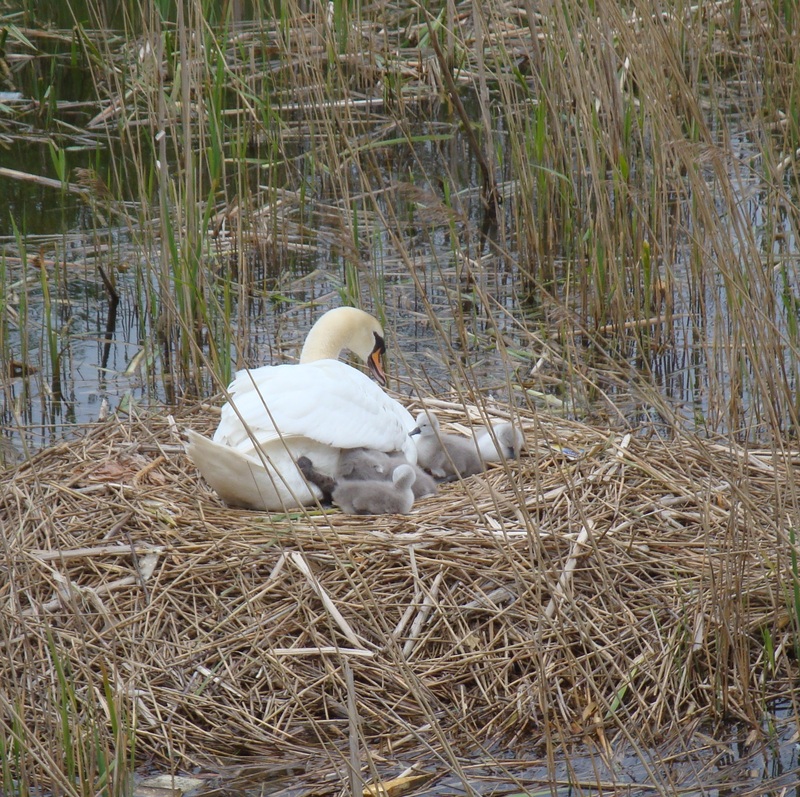 On the way back I decided to walk up the canals and check on the swan’s nest that I discovered a few weeks back. 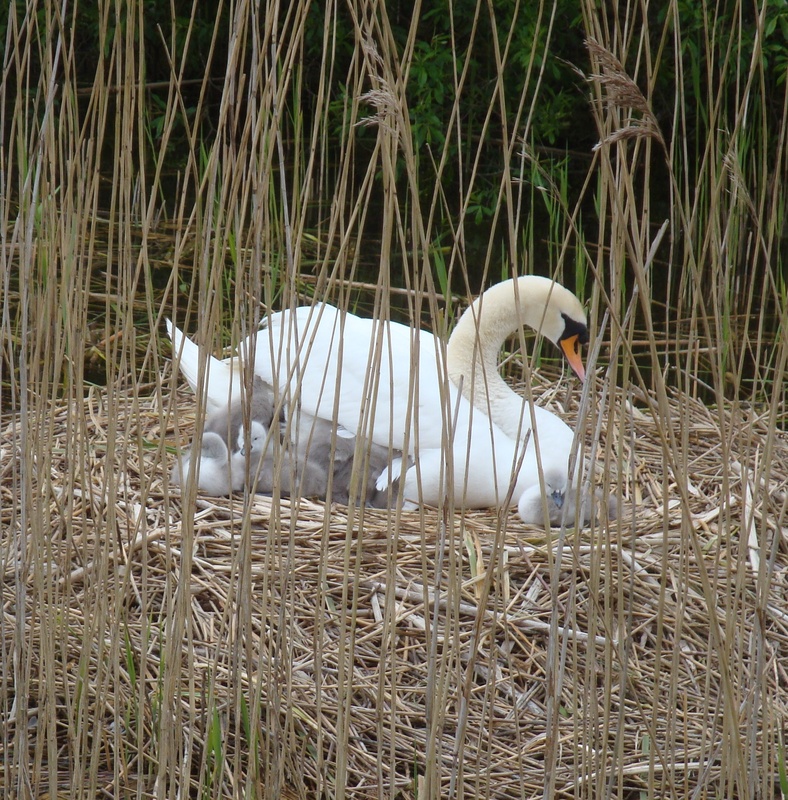 When I went by three days ago, there was no sign of little ones, but today, there they were. Tiny gray balls of fuzz clustered around their mother atop the nest. The father was close by, gliding past the humans who were taking photos, judging their threat level. I tried to assure him we meant no harm. 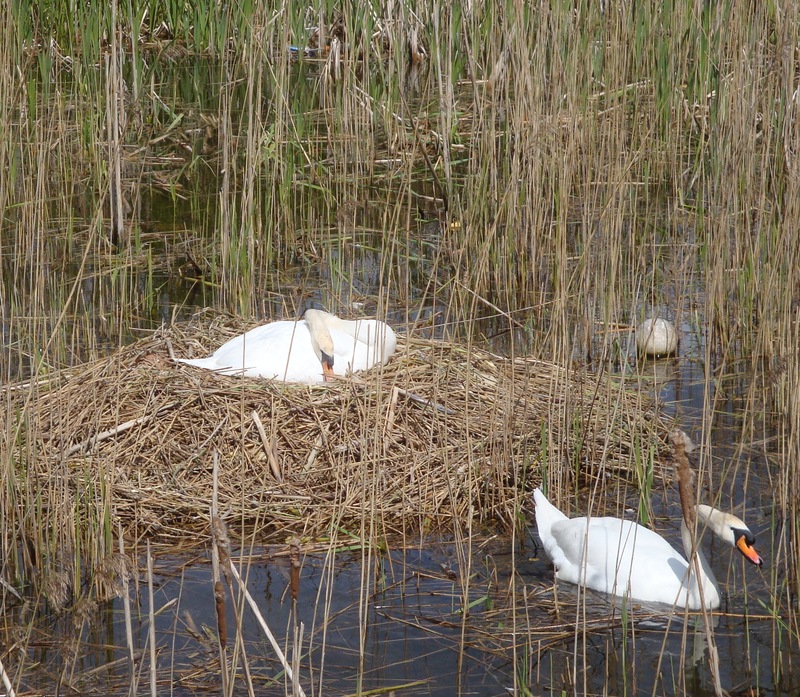 How beautiful, also, that swans generally mate for life. A few mallards sat nearby, either in awe of the beauty of new life, or as additional guardians; maybe both. What a fitting tribute to the Celtic start of summer.